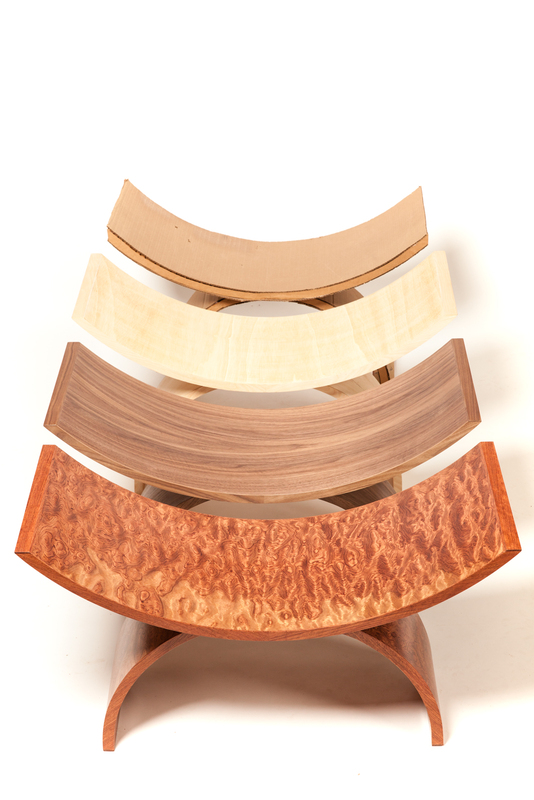 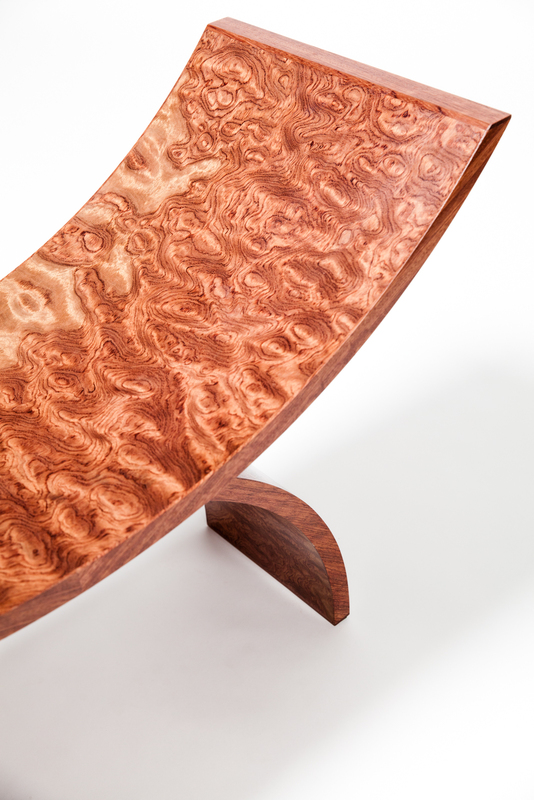 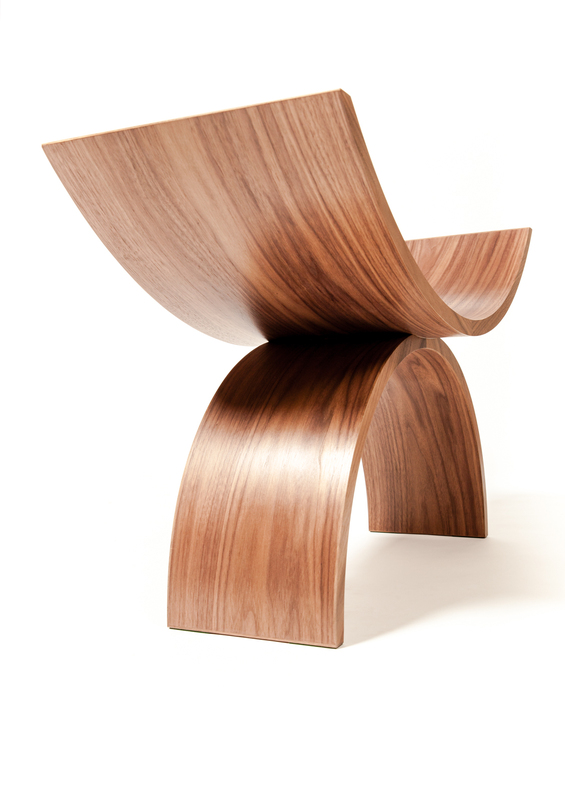 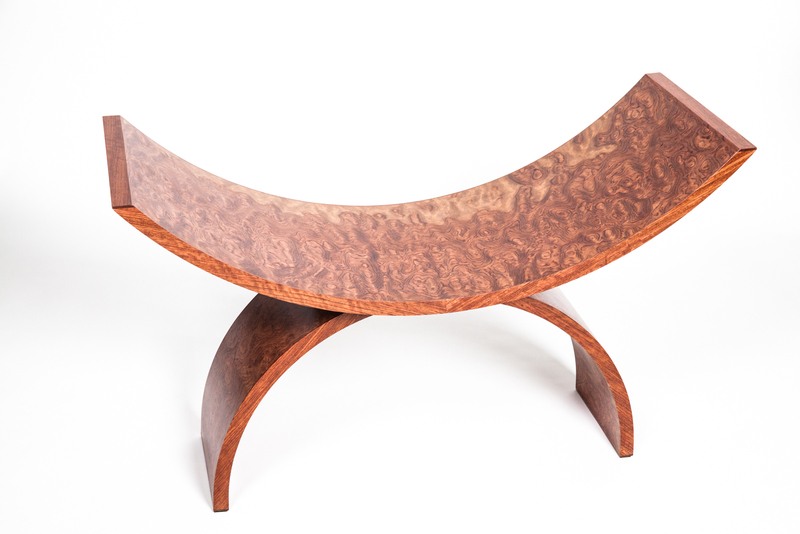 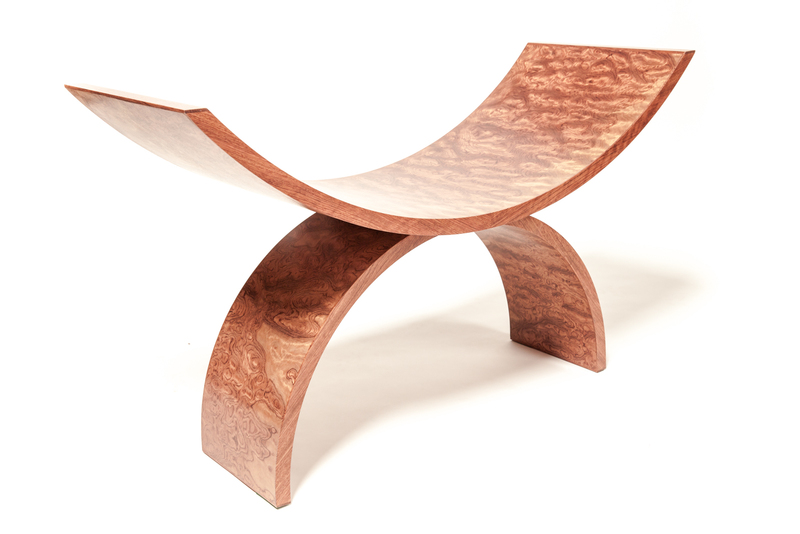 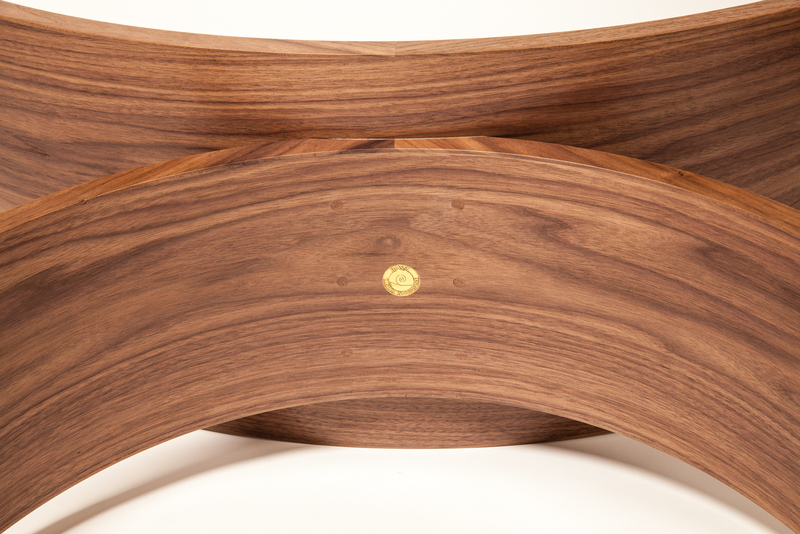 Sweeping opposing arches bent-laminated in highly figured bubinga veneer. 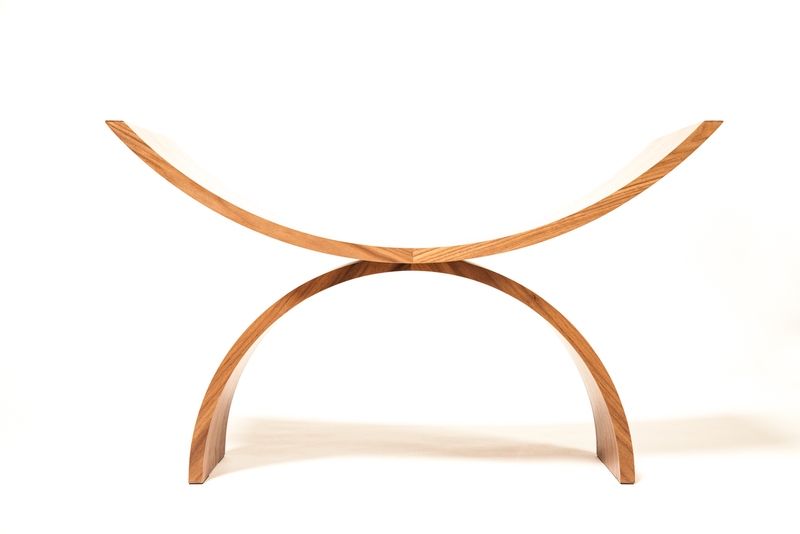 Perfect for a dining ensemble, occasional seat or at the foot of the bed. 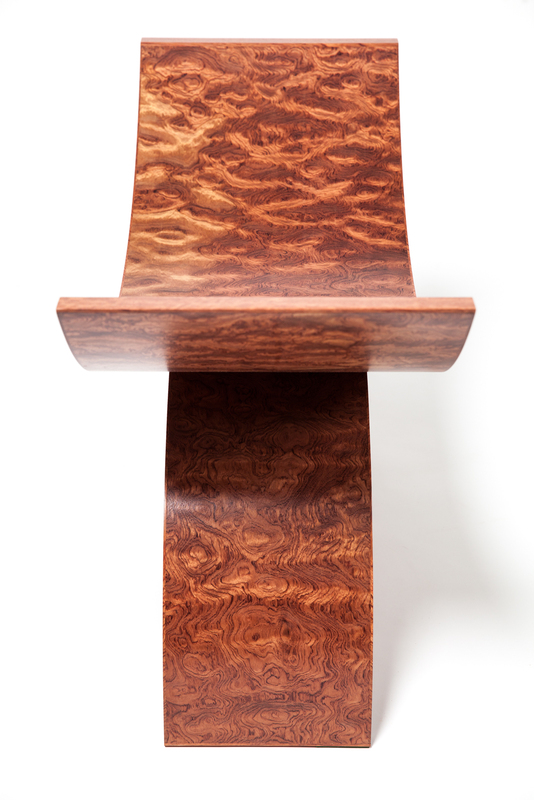 Semi-gloss lacquer finish with fine wax topcoat.